Tom worked the recreational division which looks like it might be a fun goal to work for next year. I wonder if they allow kick boards in the swimming part (I am not a strong swimmer)? 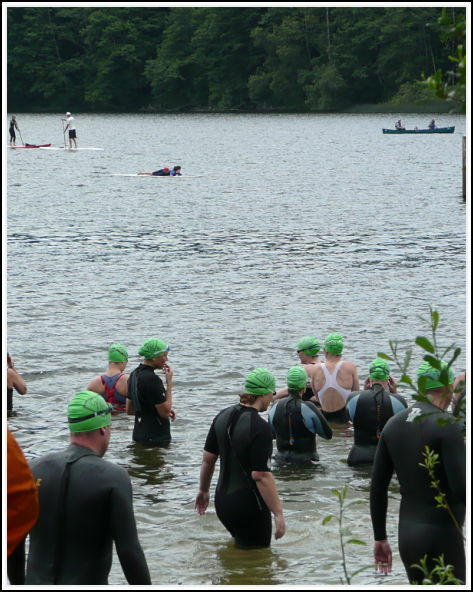 Competitive: Swim 1/2 mile, Bike 21 miles, Run 5.2 miles – Start: 8:30 a.m. Recreational: Swim 1/4 mile, Bike 10 miles, Run 2.6 miles- Start: 1:00 p.m.
See the recreational doesn’t look to bad, especially if I can have my kickboard and walk the run. Tom will probably do great. I would be happy just to make it to the end. At the start, it was a cool cloudy morning but the athletes enjoyed the weather. 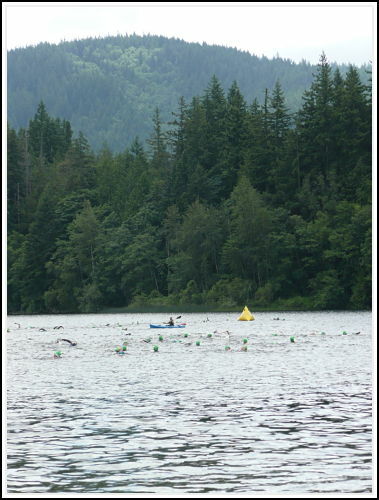 They have canoe’s and paddlers in case you get tired. 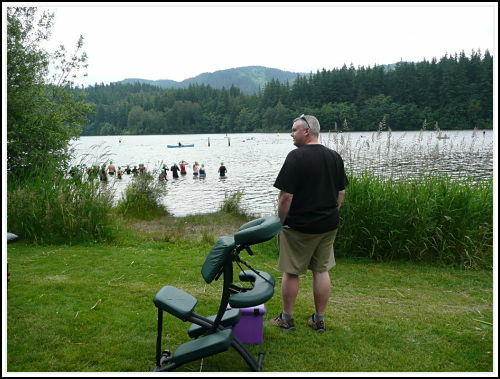 Tom waiting for the racers to come get their sore muscles massaged. 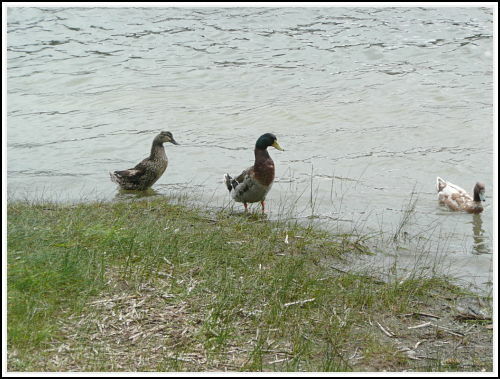 These ducks were happy when the swimming leg was done so they could have their lake back.